We went to one of our favourite junk stores and got looking around. I spied a whole box of various stuff and after seeing the price I couldn’t resist. I found some cool items and some items I don’t know what they are. Any information or suggestion is welcome. 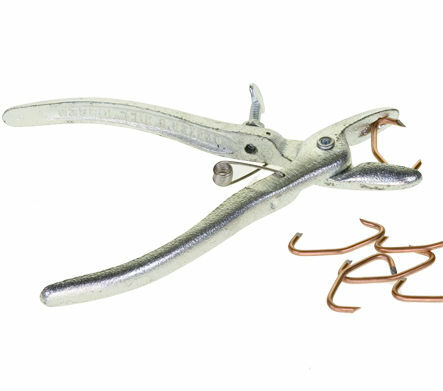 The pliers looking item at 12:28 are used to clinch hog rings. Farmers put rings in the front of hog noses to stop them from rooting up ground. Also used by furniture makers for attaching fabric to to frames. While looking for a photo online I see that modern ringers work like a nail gun. Thanks for bringing back a memory of my youth. Ringing hogs was a pretty physical job. We used a snare to capture and hold the hog by the snout. Thanks, someone suggested a HVAC tool too on the video comments. At 4:46 the wooden blocks used by bricklayers to tightening a string line for laying brick in the center of a course of brick after the corner of the wall have been laid. I have a pair but don’t lay any brick. i use them when working alone and need to follow a long straight string line. lasers probably replaces it. Thanks for chiming in Marty. Those things had me scratching my head since I saw them.